Preheat oven to 400° F. Line a muffin pan with 10 paper muffin cups or grease with cooking spray. Fill the 2 empty cups halfway with water. Sift the flour, baking powder, and salt into a bowl. Stir in 2 tbsp of sugar. In another bowl, hand whisk egg yolk, milk and melted butter until blended well. Pour the yolk mixture over the flour mixture and whisk until just combined (do not over mix– the batter will be slightly lumpy). Add in chopped strawberries, stir just enough to combine. Divide the batter evenly among the prepared muffins cups. Bake the muffins until golden, for about 20 minutes. Remove the muffins from the pan and cool on the rack. 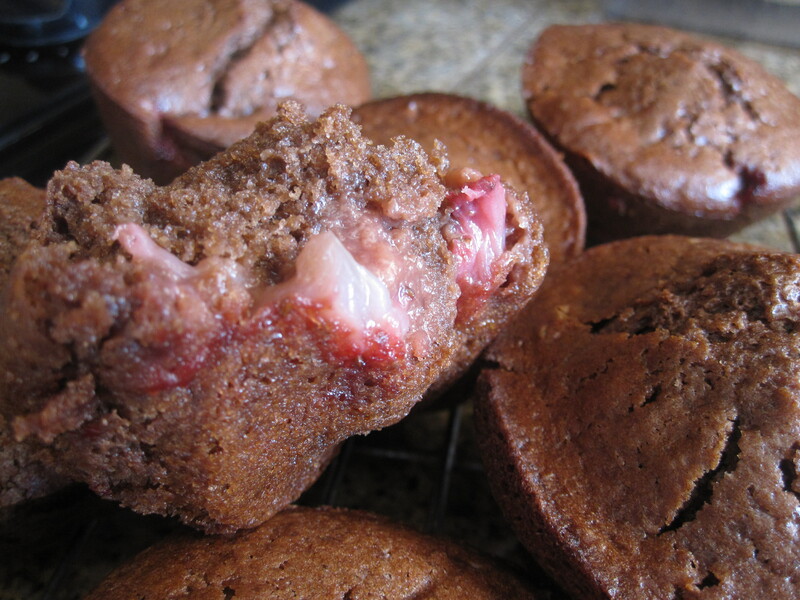 Flip muffins up side down to cool if the bottom part is too soft. Milk— I used 3/4 cup of milk this time and the batter was quite runny. Maybe cut down to 2/3 cup milk, or even to 1/2 cup milk next trial?